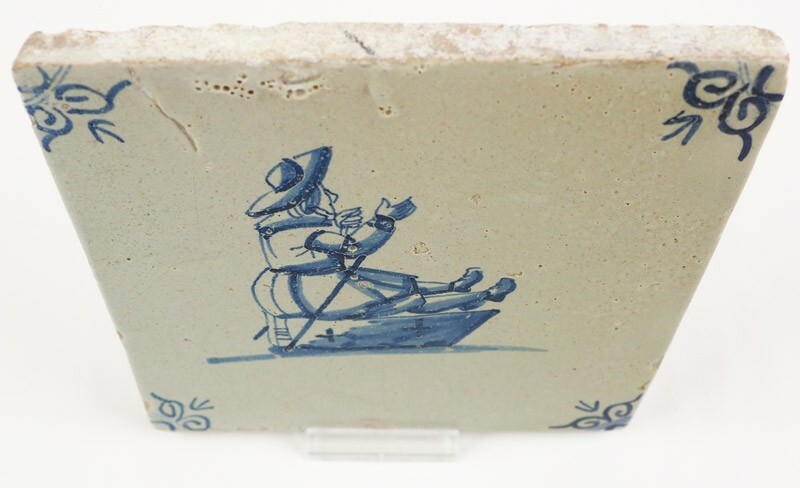 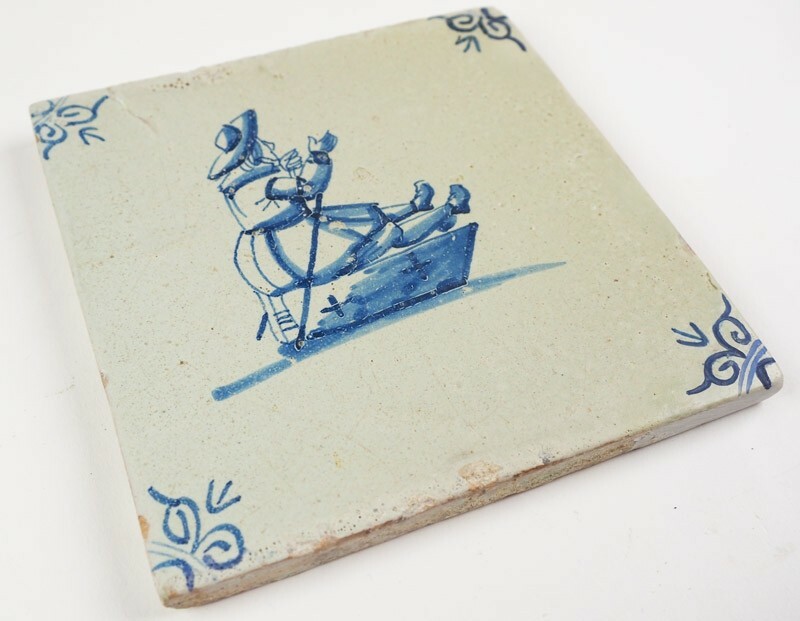 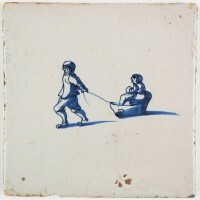 This wonderful antique Delft tile depicts a child riding a sledge. 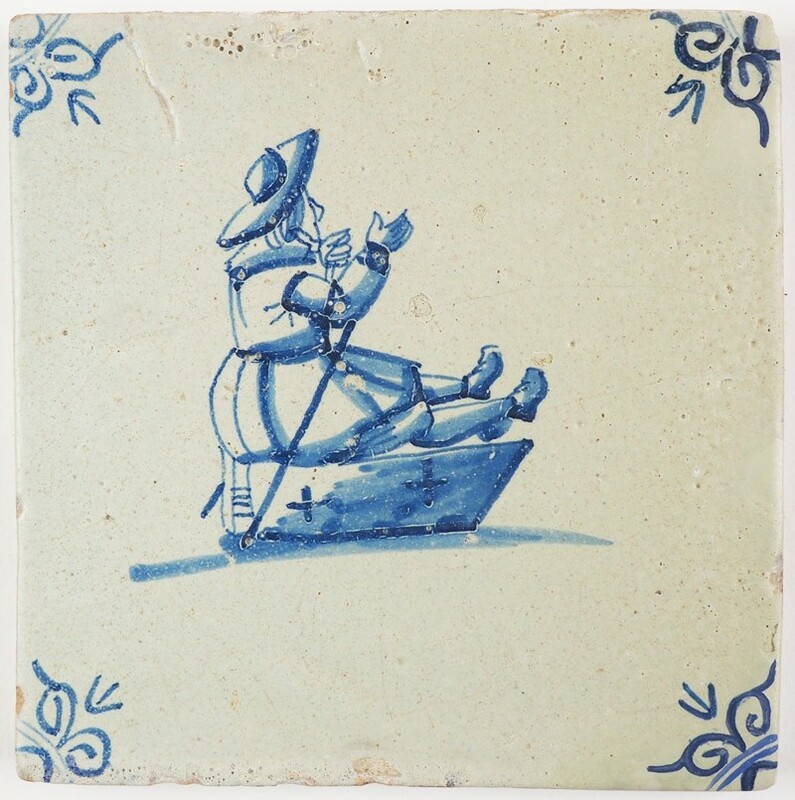 The tile dates from halfway the 17th century (c. 1650) and is decorated with 'ox-head' corner motifs. 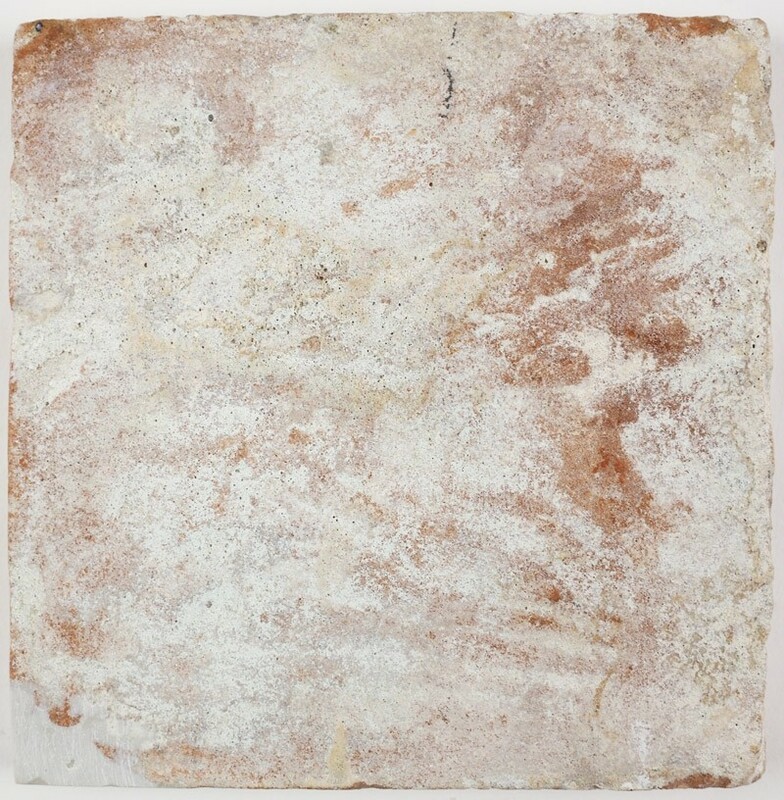 The tile has two restorations on the top right and lower right corner.